During my summer holidays, I love sitting on the terrace, watching many facets of Mediterranean Sea, angry at times as white bubbles come to the surface but sometimes as blue as it gets, mild and happy. Moments like this, an unexpected but pleasant breeze cools down the sweat on my forehead while carrying the irresistible scent of the jasmine bush close by. If the wind is stronger that day, the delicate white flowers are all blown away from the bush. But nothing to worry because they reappear in a few days again. Jasmine, delicately simple but surprisingly sensual. 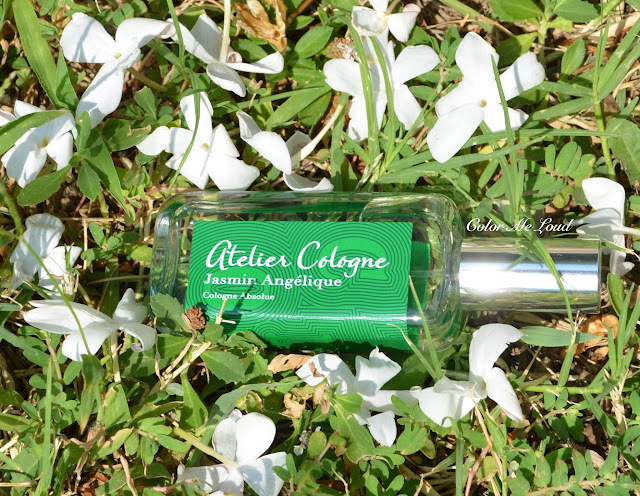 Can Atelier Cologne's freshly released Cologne Absolue Jasmin Angelique can put this beautiful experience in a bottle? Here are my thoughts and photos which I took with the jasmine bush I just mentioned. The fragrance comes in Atelier Cologne's signature simple but chic bottle. The color they chose for the label is green which gives a hint about what kind of a jasmine interpretation you are about to breath in. Green... It open with a fresh lemon and green angelica note. Angelica is beautiful in here, a little herbal, very carefully sweet and pleasantly green. Soon after angelica and jasmine mix gives a beautiful mix, not only white but green, just like the jasmine bush I have in my imagination. There is fig listed in the heart notes but I don't really get that very much. Galbanum on the other hand starts to make it all resinous and more green in a good way. At this stage it smells musky too a cleaner heart to get you prepared for what is to come up next... A smoky base. After the soft incense and white amber get more dominant, the base gets smokier while jasmine slowly fades but lightly lingers over the dirtier closing scene. 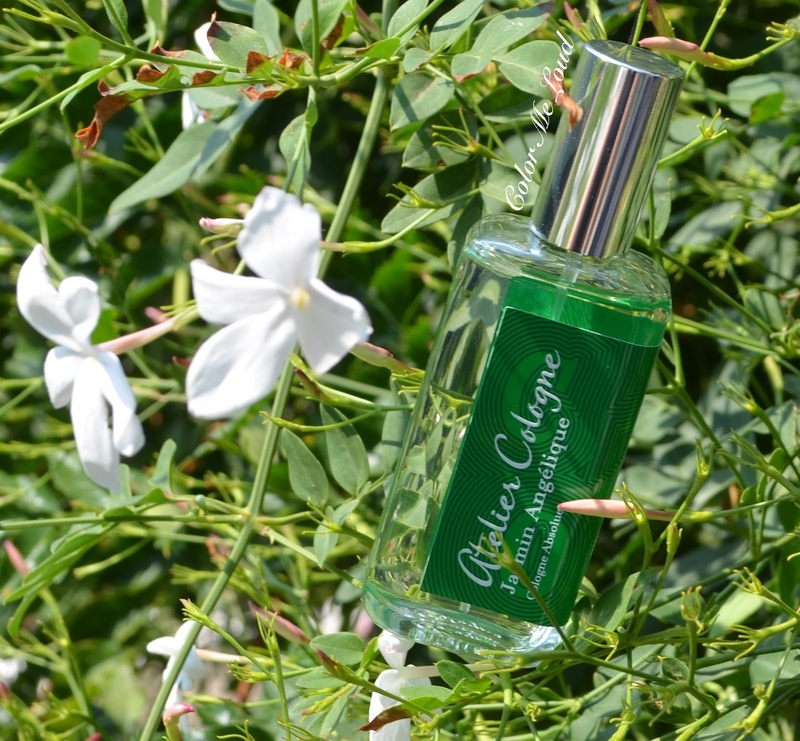 I wouldn't expect any less from Atelier Cologne, a unique Jasmin interpretation which brings the floral next to citrus, green and smoke one by one, revealing all the clean and dirty facets while keeping the heart true to original. The sillage and longevity are both moderate on me. Atelier Cologne Jasmin Angelique is marketed as a unisex scent and I think it really is. The sweetness in the opening shouldn't make men shy away because there is more to come. 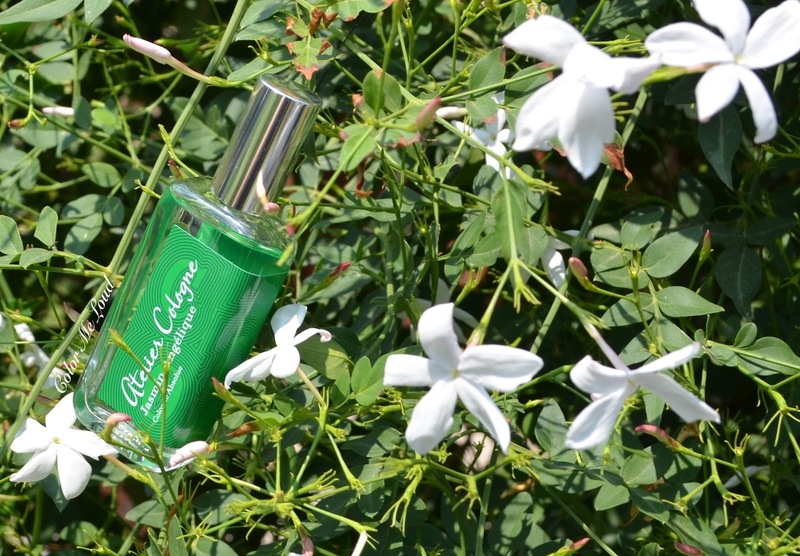 Final thoughts: New fragrance from Maison de Parfum Atelier Cologne makes my unisex and green loving heart pound. I am especially loving the clean heart transferring to the smoky base while keeping jasmine close to its original scent. Highly recommended for ladies as well as gents. Do you like jasmine note? What is your favorite fragrance with jasmine? Hey Sara, what pretty photos! Glad to hear you like this one so much, but I read fig and you know that's tricky for me. I always pick it out in a second and everything just goes downhill from there LOL I do love green tho! Wouldn't say jasmine is a favorite note of mine, but in certain fragrances I do like it! Oh this sounds really good Sara! I don't usually like jasmine, but green jasmine and with some pepper sounds really intriguing! Sounds really good. I think my favorite jasmine scent is TF's Jasmin Rouge. It smells like green jasmin tea on me. Oh I remember sniffing Jasmin Rouge. TF scents are louder, Atelier Cologne are a bit low key, more wearable but unique without being obvious. I love their quiet but still noticeable quality. Yes paint it green and season it well with pepper ;-) There is also a tad of incensiness in there, it is lovely. yes took the photos at the Jasmine bush in our garden but it was tricky because one day a wind would blow and all end up on the floor so one of the photos is taken on the grass with flowers which fell down ;-) I almost get no fig in here but check it out.